Under Georgia law, you have the right to terminate your lawyer if you are not happy with the progress of your case. Before taking this step, however, you need to understand the issues that can arise when more than one lawyer has been associated with your file. Although the fee contract your signed with your lawyer is called a “contingency fee” contract, meaning that your lawyer only gets paid if he/she negotiates a lump sum settlement on your behalf, you are not getting free legal services. More specifically, the contingency fee contract you signed provides that if you terminate your lawyer, that lawyer can file a fee lien against your case. This means that when lawyer #2 takes over representation, he/she will have to address lawyer #1’s fee lien. A fee lien can be in the form of a claim for fees based on hourly work performed, or it can be based on 25% of an offer that lawyer #1 obtained for you. 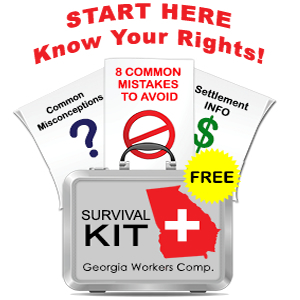 The Georgia State Board of Workers’ Compensation has to approve any fee paid to an attorney in your case, and they will consider fee lien claims from dismissed attorneys. If your case has been pending for months or years, or if there is a large settlement offer on the table, you may find it difficult to find a new lawyer to take on representation. This is especially true if lawyer #1 has a good reputation with the State Board and if lawyer #1 has filed a detailed billing report along with his/her fee lien. If lawyer #2 assumes representation when most of the work in your case has been done, it is unlikely that the State Board will approve much, if anything, as a fee for lawyer #2. If you have had multiple lawyer, and thus multiple fee liens, it will become increasingly difficult to find a lawyer #3 or lawyer #4 to represent you. As time passes, you run the risk that your case will grow stale and the settlement value will decrease. Settlement offers do not remain on the negotiation table indefinitely and there are many stories on the various lawyer listservs where a six figure offer was withdrawn and the injured worker ended up with little or nothing. Over the years, I have received many calls and emails from workers compensation claimants who are frustrated with the progress of their cases and they call me to ask if I will take over representation. I always respond to these requests by strongly encouraging the caller to reach out to his/her current lawyer and schedule a sit down meeting. With a few exceptions, most lawyers who practice workers’ compensation law want to do the best for their clients. I know of no situations where a local lawyer was “in cahoots” with an insurance company to sell out their client’s interests. I also do not believe that most workers’ compensation lawyers will push for a premature or low settlement offer because the lawyer needs the money. Yes there are situations where communication and trust have broken down. However, most of these issues arise because of a failure in communication. Perhaps the lawyer did not do a good enough job explaining that pain and suffering are not recoverable in a workers’ compensation case, or that the insurance company will fight you every step of the way. At the same time, you, as the claimant, need to have realistic expectations about the value of your case. You are most likely not going to recover six figures for a broken arm, and it is very unlikely that any workers’ compensation settlement will cover your financial needs for the rest of your life. As I have explained elsewhere on this site, the insurance company does not have to settle, and the State Board does not have the authority to award a lump sum. Your case will settle if you want to settle and if your employer’s insurance company feels that a lump sum payment to you is a fair resolution of their outstanding risk. Do not fire your lawyer because he/she is giving your truthful information that you do not want to hear. Again, before changing representatives talk to your current lawyer and try to resolve your concerns – in most cases, you will end up with a better and faster resolution to your case.